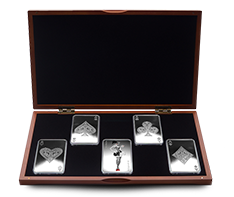 If you are looking for truly unique gift ideas, and some of the most distinctive and interesting gold and silver bullion, Kitco Exclusives are for you. 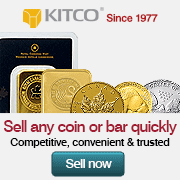 Kitco Exclusives are unique gold and silver bullion and gifts, many of which are custom made only for Kitco. If you are looking for the most uncommon gifts and unexpected presents, these Kitco Exclusives are for you! Kitco is the only place in North America where you can purchase many of these gold and silver gift ideas. Gifts of pure gold or silver are always appreciated, and can last a lifetime. Gold and silver may even go up in value as time passes, making your present even more unique.